These were simple and good but they sure were hot! 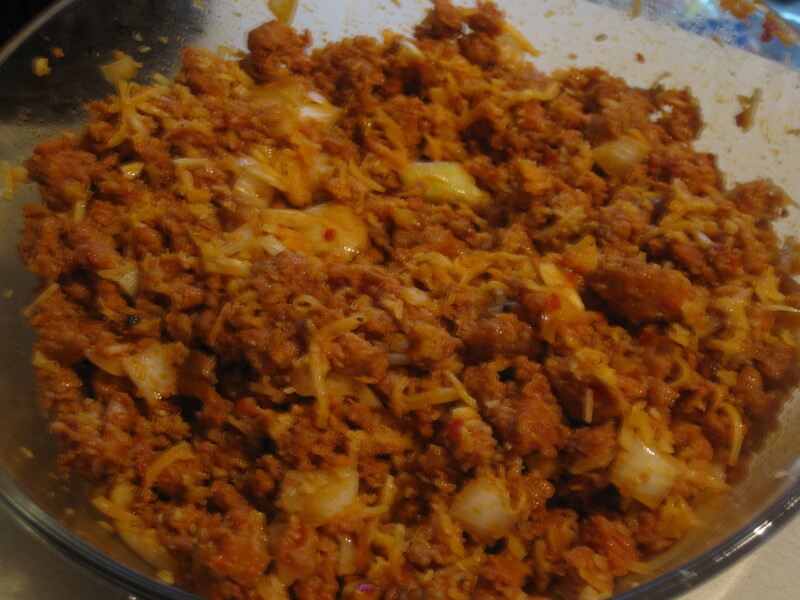 Start by making the stuffing which was primarily hot sausage with chopped onion, garlic, and Italian cheese. Make the stuffing with the proportions of your choice. Cook the sausage about half way and drain the grease. 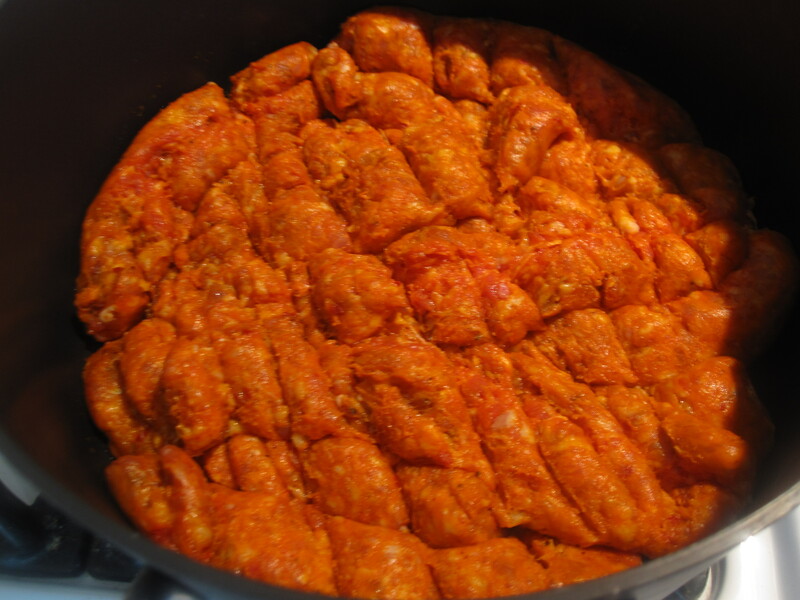 Add the other ingredients once the sausage is ready and put aside. 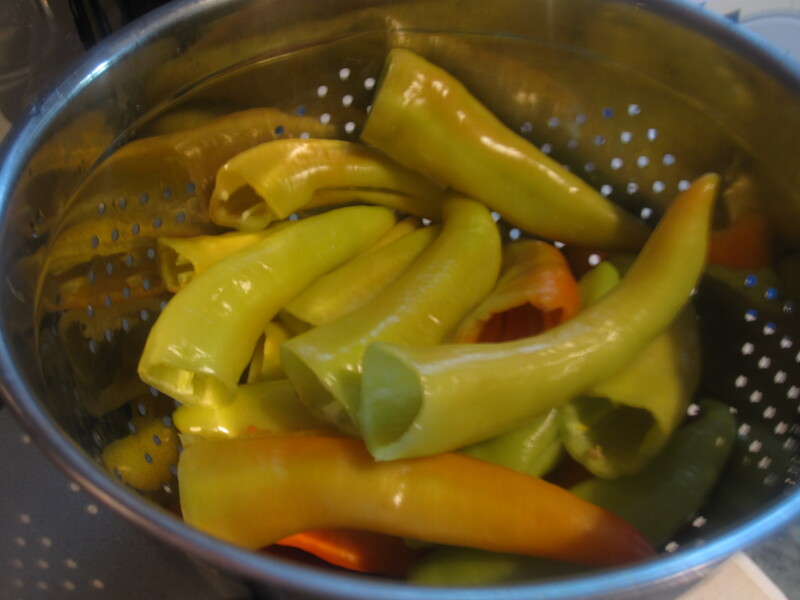 Cut the stems off of the peppers and remove the seeds and pulp. You may want to wear gloves and be sure not to touch your face….TRUST ME! 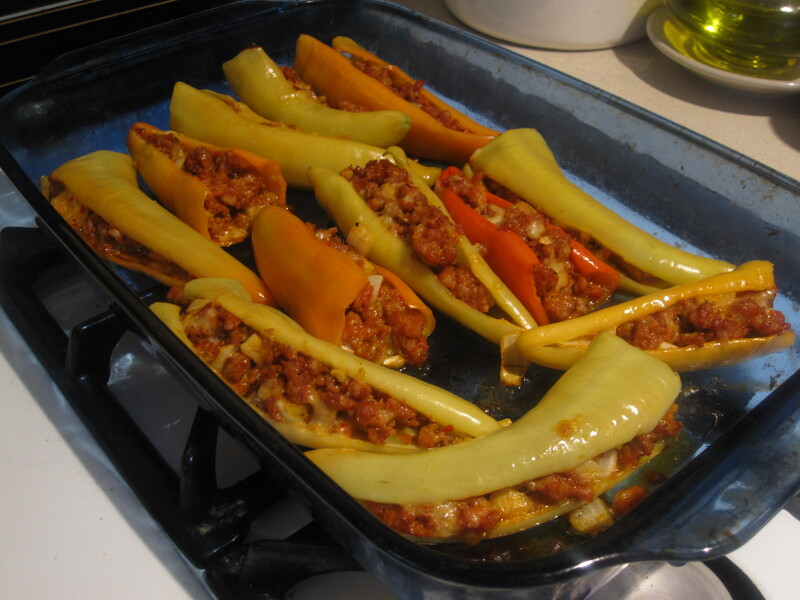 Then stuff as much filling as you can into the peppers and line in a baking dish. 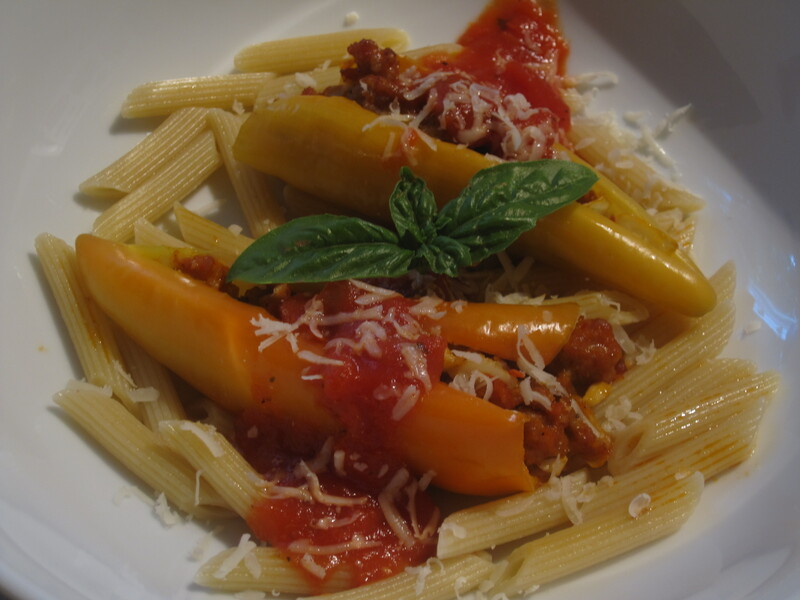 Cover with a bit of tomato sauce and bake at 350 for about 20 minutes. 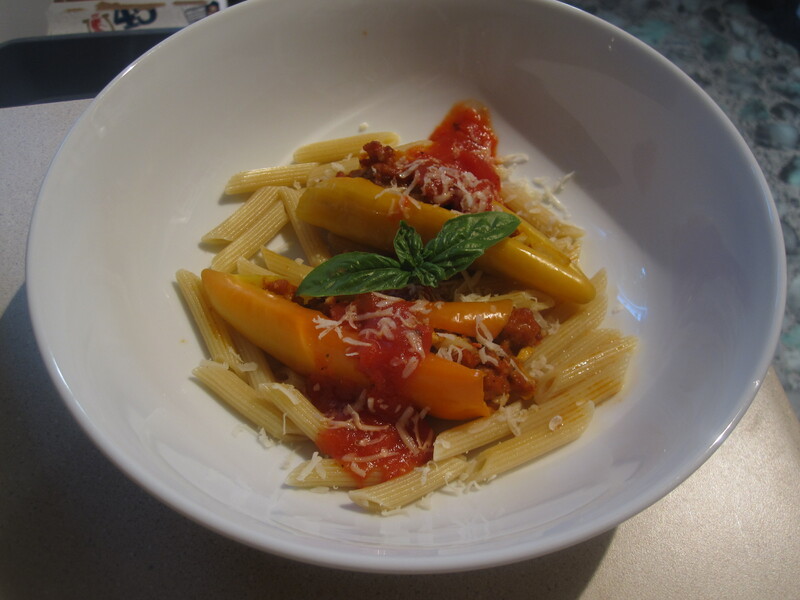 We put them on a bit of pasta to cut the heat of the peppers. 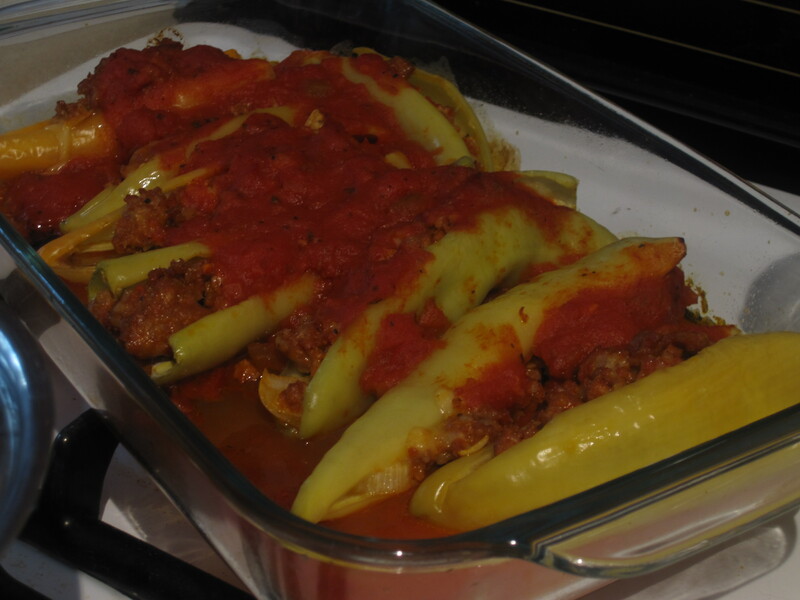 This entry was posted in Pork, Recipes and tagged garlic, Italian, low carb, peppers, pork, sausage, stuffed. Bookmark the permalink.